And so ends the fistballing journey of the Possums at these World Championships. 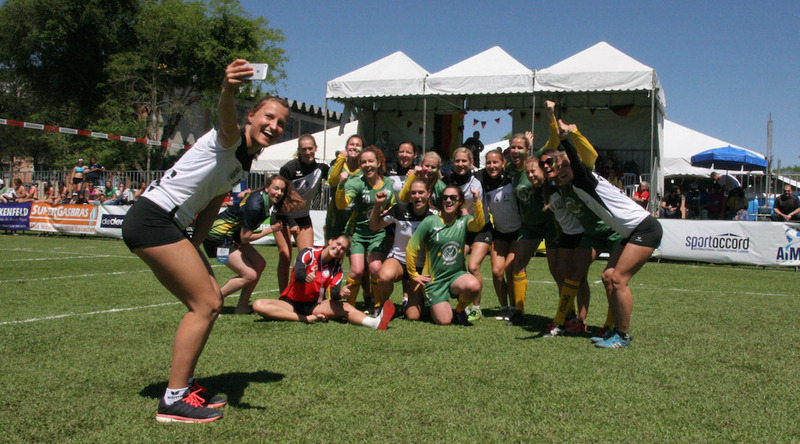 Despite some continuing signs of improvement, the Australian girls were once again shown the door in both their positional playoff matches, ending their campaign and solidifying their 7th place in both international and Australian fistball history. The day began with a matchup against Argentina, and initial signs were once again very promising. With 11 points completed in the first set, the Aussies were holding firm against the Argentineans and keeping within striking distance, sitting just 5-6 and well within reach of capturing their first ever winning set. However, it was not to be, with the greater experience of the team in the blue and white shining through as they put on the jets to claim 5 straight points and win the set 11:5. They continued their dominance in the second set, winning 11:3 in a rather convincing manner. And so came their final chance to prolong their campaign, albeit in the most unlikely of routes – by causing the upset of the tournament and knocking off 2014 World Championship runners-up Austria. 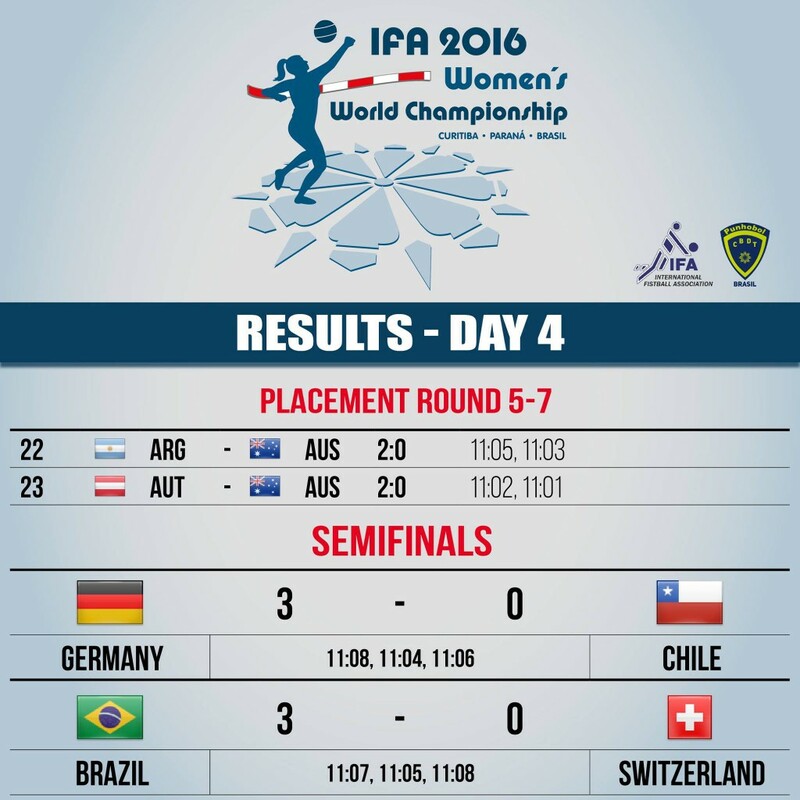 Not surprisingly, there would be no fairytale finish – the Aussies comprehensively defeated 2:0 (11:2, 11:1). It was not without its highlights however, with the Possums holding their first ever set lead against a fistball powerhouse after taking the first point of the second set! Unfortunately, the Austrians then took the next 11 to win the set and the matchup. Despite this, they ensured that they would at least be fan favourites of this tournament, playing up to the fans and soaking in their encouragement. After their final defeat of the tournament, the Aussies celebrated by performing a human pyramid while the Austrians watched with amusement. Appropriately, their World Championship pyramid formation was much improved on their previous pyramid formation from several months back, showing that all things can be improved with practice and experience. Following on from these two positional matches, the blockbuster semi-finals took place, with clear favourites Germany and Brazil both winning their respective matchups against Chile and Switzerland. Both teams only needed the minimum number of sets (3) to knock out their opponents, showing that that hopefully tomorrow’s final will be a thrilling encounter between two powerful and equally matched units. Chile and Switzerland will play off for bronze, while Austria and Argentina will battle for 5th. The Possums will be watching from the sidelines, likely engaging in delicious battles with their refreshing caipirinhas. Well fisted Possums, and may you continue to fist on in future tournaments. Fist on!